Cinepax joined hands with SOS Children's Villages Pakistan. We are proud to join hands with SOS Children's Villages Pakistan.... The CEO of Cinepax, Ms. Mariam El Bacha and the National Director of SOS Children's Villages Pakistan, Ms. Saba Faisal signed a memorandum of understanding. The MOU will help to promote the work of SOS for the abandoned children. Cinepax is honoured to support the cause which fuels SOS effort. Every donation made or every minute spared will help in making a difference in the lives of millions of children from the marginalised communities across Pakistan. With the challenges nationally and internationally, there is no way at all that one sector alone can do it. When you get it together, you get incredible results. Cinepax is proud to announce one of its kind upcoming project, ... "Family Entertainment Centre in DHA Lahore”. A joint venture of Cinepax and DHA Lahore. 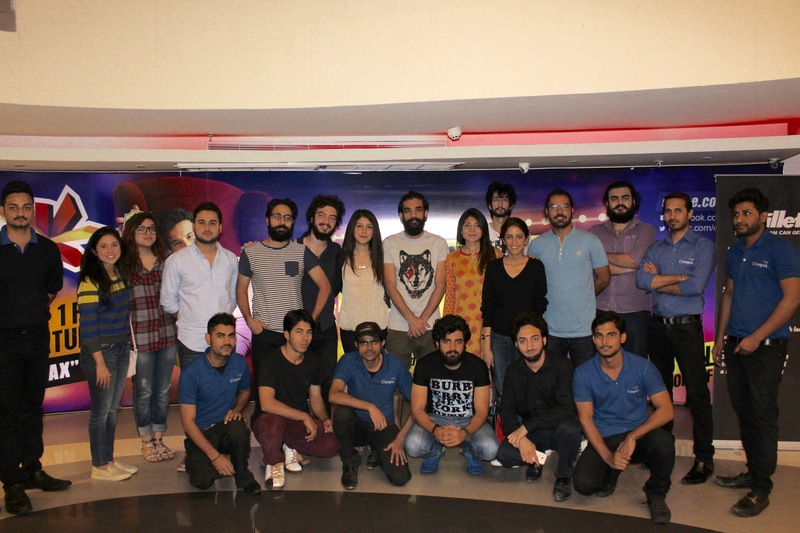 Cinepax hosted screening of 48hours Film Project at Cinepax Ocean Mall Karachi. It ... was a two day well attended event. Winner was awarded cash prize from Cinepax. Cinepax always tries to stay ahead on any effort of promoting Pakistan Film Industry and young directors. Cinepax is proud to announce Hasan Ali as there most ... consistent and loyal online customer. As token of appreciation CEO-Cinepax presented a Motorbike to Hasan sponsored by Film: Motorcycle Girl. Hasan your loyalty means a lot to us and we expect to stay connected with you for many more years to come. Cinepax Cinemas and Peek Freans Gluco launched first ever kids screen in Pakistan, “Gluco Minipax” at Packages Mall, Lahore on October 12, 2018 ensuring a fun-filled experience for kids and families altogether. .
“Gluco Minipax “ is a healthy entertainment bundle for children. It offers diversion and additionally opens the door of learning, as an energizing expansion to the roads of amusement for children in Pakistan. The cinema is built for children and currently has a seating capacity of 52, which includes various types of seats like family, standard, curve and Dora seats. Kids play area inside the cinema is also an attraction that is filled with educational toys. Cinepax cinemas hosts the 8th International Children’s Film Festival (ICFF) ... in collaboration with The Little Art Organization and Teachers’ Resource Center at Cinepax Ocean Mall, Cinepax Packages Mall and Cinepax Hotel One Faisalabad, Karachi from 1st October, 2018. Pakistan’s favourite cinema chain, Cinepax Cinemas, collaborated with an e-Sports platform, Gooline Space in order to conduct the grand finale of “Rainbow Six Siege” at the flagship site, “Cinepax Packages Mall, Lahore”. The competition took place on Sunday, 16th September, 2018 at Packages mall, Lahore where gaming systems were installed for the players and screening of tournament was live at screen 2. People of all age groups came in order to support their favorite teams and was enthralled by an immersive gaming experience. Cinepax Pakistan’s favorite cinema ... chain, announced a joint venture (JV) with STARZ PLAY, the fastest growing Subscription Video on Demand (SVOD) service in MENA to launch ‘STARZ PLAY by Cinepax’. The new service will grant subscribers access to thousands of hours of blockbuster hits and Pakistani, Hollywood, Bollywood, Kids favorites. ‘STARZ PLAY by Cinepax’ offers an impressive library of content licensed from the biggest Hollywood names. The service provides its customers a diverse array of blockbuster Hollywood movies, award-winning box sets, day-and-date premium series – plus documentaries, kids’ entertainment and Pakistani favorites. As an exhibitor Cinepax ... has always played an essential role in promoting Pakistani content at all possible mediums. In August 2018, Cinepax invited casts of Pakistani block busters including Load Wedding, Parwaaz Hay Junoon and Jawaani Phir Nahi Ani 2. The casts visited our cinemas in Karachi, Lahore and Rawalpindi where they were greeted by massive crowd and our customers got chance to purchase tickets and make selfies with their favorite celebrities. Mission Impossible 6, A master piece of real action by Tom Cruise, Had its Pakistan premiere ... at Cinepax Ocean Mall Karachi. Numerous celebrities were invited along with media coverage. Cinepax always brings the finest offer for its CineFamily! Watch 5 movies ... at Cinepax Cinemas from July 13th to August 12th and get a chance to win a trip to Thailand and many more prizes. Azaadi is one of our Pakistani content mixed with action, thrill, and patriotism. This film is about ... a man who has devoted his life to the Kashmir struggle attempts to pass his vision along to the younger generation. Moammar Rana and Sonya Hussain visited our cinemas in Lahore, Islamabad and Karachi before the release of their film and enjoyed every moment with their fans. Cinepax brought a treat for the football lovers with a live screening of champions league final ... between Real Madrid and Liver Pool. Screening took place at Lahore, Rawalpindi, Faislabad, Gujrat and Karachi. Pakistan’s favorite cinema chain, ‘Cinepax’ reveals a treat ... for kids this summer by the name Cine Junior. Cinpeax is renowned for catchy incentives to cater all age groups. This time Cinpeax is focusing on little juniors and is back with another captivating appeal. The notion that Cinepax came up with is arranging 5 movies exclusively for kids. The screening starts from 25th May, 2018 onwards that includes Allahyar and the Legend of Markhor, Sherlock Gnomes, Despicable ME 3, Tick tock and Coco, which is a complete pull factor for little denizens to enjoy their holiday. Cinepax plans to celebrate a week for marvel fans from 18th to 24th May, 2018, Where ... all blockbusters such as Deadpool2, Black Panther, Avengers Infinity War and Thor Ragnarok will be screened. International Women’s Day was celebrated at cinepax, where our women ... were given exclusive discount offers including 30% flat discount on movie tickets, 25% OFF at Mocca Coffee, 20% OFF on careem ride and various gif vouchers. Maan Jao Na is the romantic comedy film starring Elnaaz Norouzi and Adeel ... Chaudhry. Cast visited cinepax in Lahore and Karachi, It was the evening full of music, dances, pictures and chat. On 4th of January, Cinepax Packages Mall took over the entire Lahore with the most ... glamorous night of the town. Pakistani film “Parchi” revolving around story of several friends who face trouble when a gangster wants a debt paid, was the only film to hold first ever premiere at Cinepax. The night was full of laughs, selfies and interviews. An action comedy film with gist of romance “Parchi” had its cast visits ... at numerous branches of Cinepax. Star cast including Ali Rehman and Hareem Farooq enjoyed time with their fans. A Shoaib Mansoor’s master piece “Verna” based upon a married couple's life that falls apart during crisis. Star Cast ... of Verna including Mahira Khan visited Cinepax in Lahore, Karachi and Rawalpindi. The cast was given warm welcome by their fans. This was one more step towards our efforts in fulfilling wishes of our customers to meet their on screen heroes. Pakistan’s favorite cinema chain ‘Cinepax’ launched its operations ... at the Cinepax Packages Mall, Lahore on 15th December, 2017. 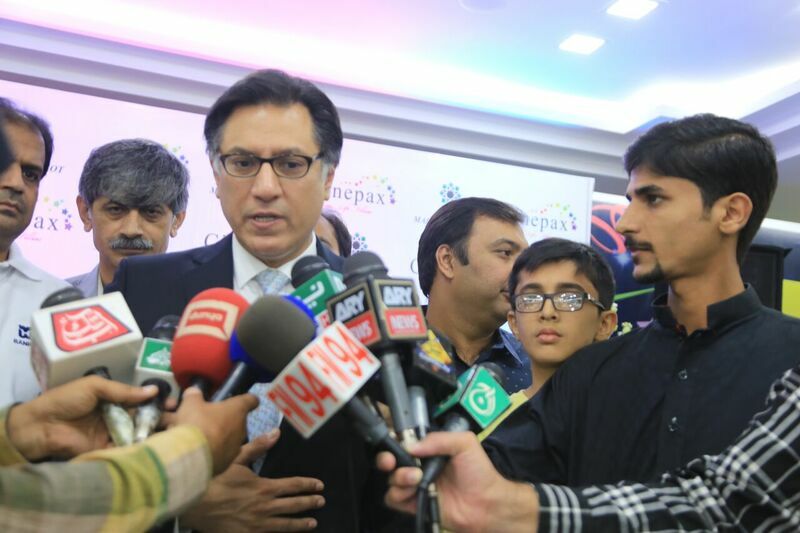 Cinepax has now officially expanded its operations in 10 cities nationwide with this new cinema and Cinepax Packages Mall is the 13th cinema in Pakistan. Initially, only 3 screens will be operational as the cinema is still in its soft launch phase, but it will become fully operational in the upcoming months. Cinepax has planned to launch a total of 9 screens with a total seating capacity of 1250, and will offer both Silver, Gold, Platinum cinema experience. The Abraaj Group , a leading investor ... operating in growth markets, announced today it has invested through its Fund, in Cinepax Limited Pakistan’s leading cinema operator. Cinepax was formed in 2006 and launched their first multiplex in 2007. Since then, the Company has established itself as the market leader and today has 29 screens in 12 locations. With Abraaj’s investment, Cinepax plans to develop 80 new screens across multiple locations over the next four years and also grow other entertainment related ventures. Pakistan’s entertainment industry has significant growth potential, underpinned by strong demographic drivers, positive changes in regulatory frameworks, and a growing number of malls that can support cinema multiplexes. In addition, the current low ratio of cinema screens (0.5 per million-population) and the opportunity to revitalize the local film industry represent a compelling investment rationale. Abraaj will support the Company in establishing international standard multiplex cinemas in new and upcoming locales. The Group places a high priority on environmental, social and governance considerations and will actively assist with job creation and training of multiplex staff, as well as strengthening governance and operational efficiencies to achieve best-in-class operating standards. Cinepax presented gratitude to all the mothers of our nation. In the filmy ... environment of emotional songs visitors took selfies with their moms and took many memories along. 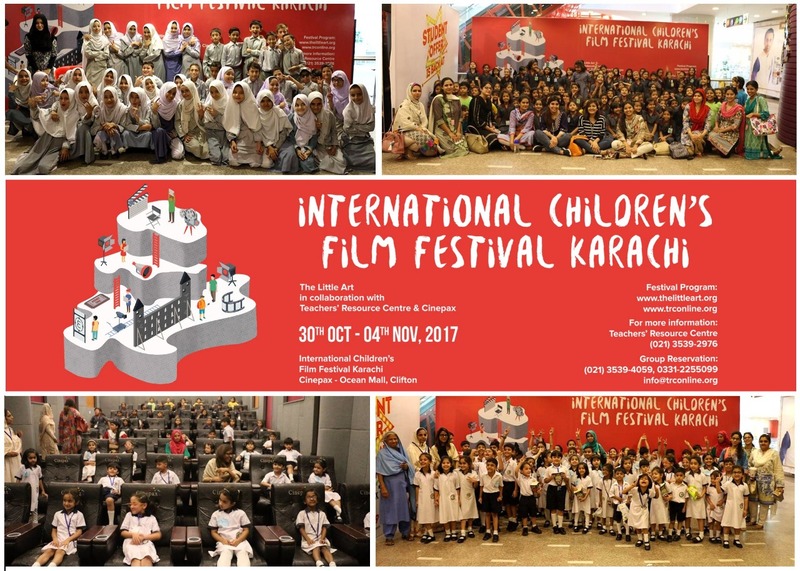 Cinepax cinemas hosts the 7th International Children’s Film Festival... (ICFF) in collaboration with The Little Art Organization and Teachers’ Resource Center at Cinepax Ocean Mall, Karachi from 30th October to 7th November, 2017. Cinepax also hosted the International Children’s Film Festival last year at Cinepax Fortress Square, Lahore. In this year’s ICFF, world’s best films were selected for the viewing of families, children and young people. A total of 57 films were shortlisted from 25 countries in 12 languages for this festival. Pakistan’s favorite cinema chain ‘Cinepax’ launched its operations ... at the Mall of Sialkot, Aziz Bhatti Shaheed Road, Sialkot on 20th October, 2017. Cinepax would officially be expanding its operations in 10 cities nationwide with this new cinema and Cinepax Mall of Sialkot would be their 13th cinema in Pakistan. Initially, only one screen will be operational as the cinema is still in its soft launch phase, but it will become fully operational in the upcoming months. Cinepax has planned to launch a total of 5 screens with a total seating capacity of 500, and will offer both Silver and Gold cinema experience. Cinepax Cinemas and UnionPay International signed a card ... issuing agreement for ‘Cinepay Reward & Payment Card’. Backed by Bank Alfalah, Cinepay is a one–of-a-kind Cinema co–branded, card-linked wallet exclusively for movie buffs. With its unique payment system, Cinepay makes movie tickets and retail purchasing easier for customers. Young Leaders Conference is a platform to let the youth shine their light. Over the years,... YLC has been organized at a number of venues all over Pakistan. The conference focuses on maximizing leadership potential in young adults between the ages of 18 to 24. The conference also incorporates social initiatives, capacity building, creating networking opportunities and other essential themes such as gender parity, human rights, environmental awareness, and sustainable and renewable energy. Cinepax Cinemas is acting as a cause partner. YLC aims to become the means for nurturing a band of future leaders who reflect, like philosophers, determine like scientists, strategize like economists, and find a way to merge these qualities into their own respective personal and professional lives. 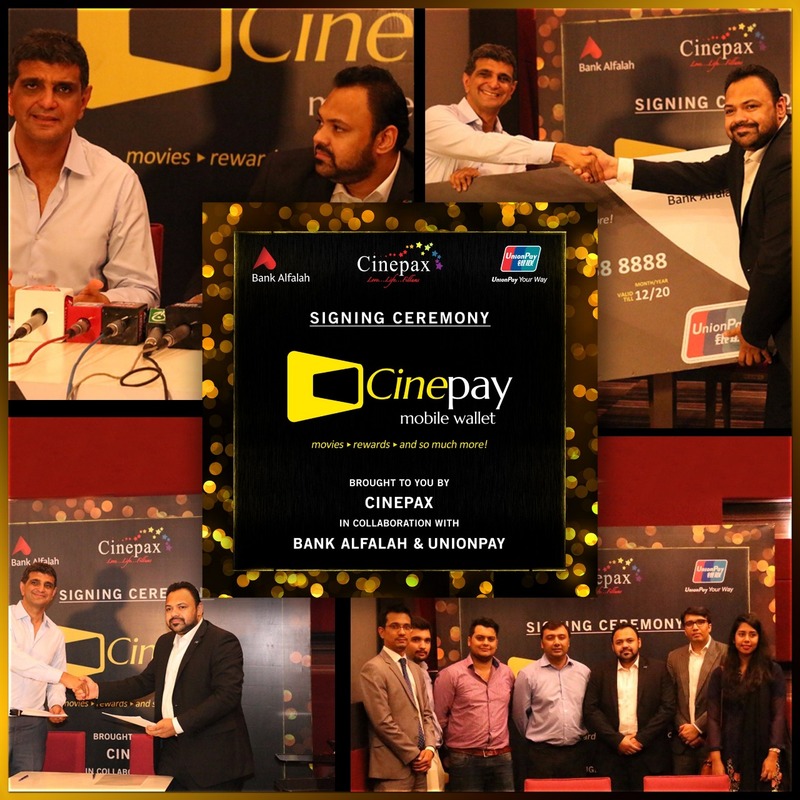 Cinepax Cinemas in collaboration with Bank Alfalah and Union Pay International, launched "Cinepay Mobile Wallet".... which is one of a kind co-branded card linked Wallet exclusively for the movie goers.With its unique payment system, Cinepay will make movie tickets & other retail purchases easier for the customers. There will be numerous offers linked with Cinepay Mobile Wallet including the reward points that will be earned by the customer on watching movies and buying food items. 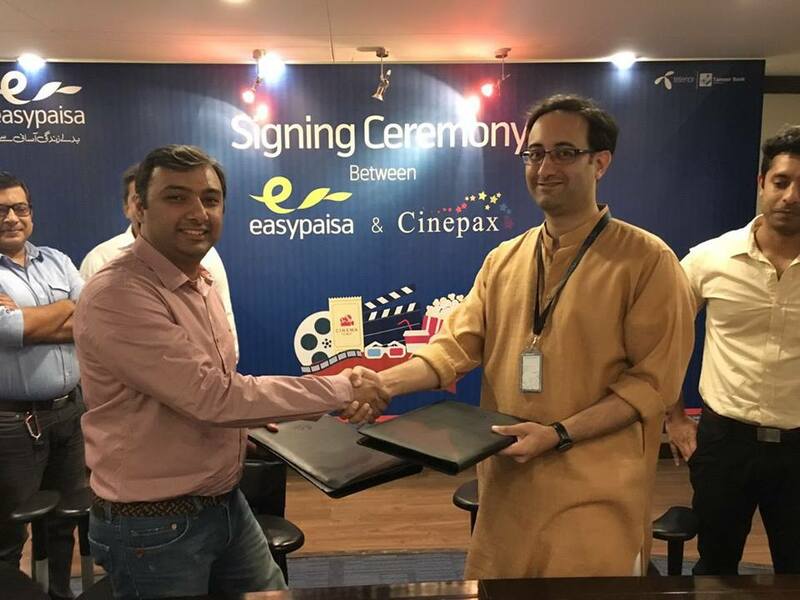 Cinepax Cinemas signs Easypaisa acceptance and discount deals through NFC and Mobile Wallets for all the customers across Pakistan.... This payment system is applicable for all Cinepax Cinema locations across Pakistan customers will be rewarded with number of discount offers on buying movie tickets and concession items through Easypay Transactions. 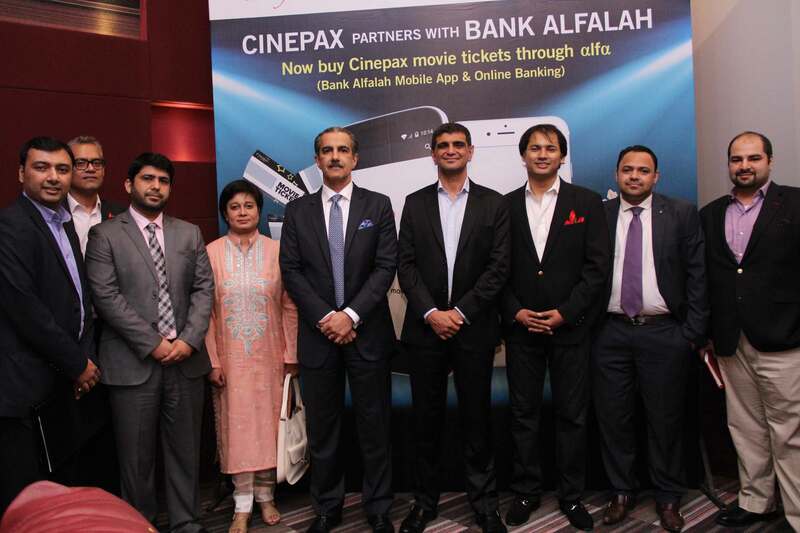 Cinepax Cinemas signs Jazz Cash acceptance deal with Mobilink, for all the movie lovers in Pakistan.... This payment system is applicable for all Cinepax Cinema locations across Pakistan and customers will be rewarded with number of discount offers on buying movie tickets and concession items through Jazz Cash payment gateway. This mother’s day, Cinepax invited all the movie lovers to appreciate their Super-Moms by celebrating ... Cinepax style Mother’s day. Hundreds of people dropped by Cinepax Cinemas, took part in our fun-filled contests, click loads of pictures around the media wall, won amazing prizes, and had the most memorable Mother’s Day! Shout-out to all the current and upcoming Film makers. 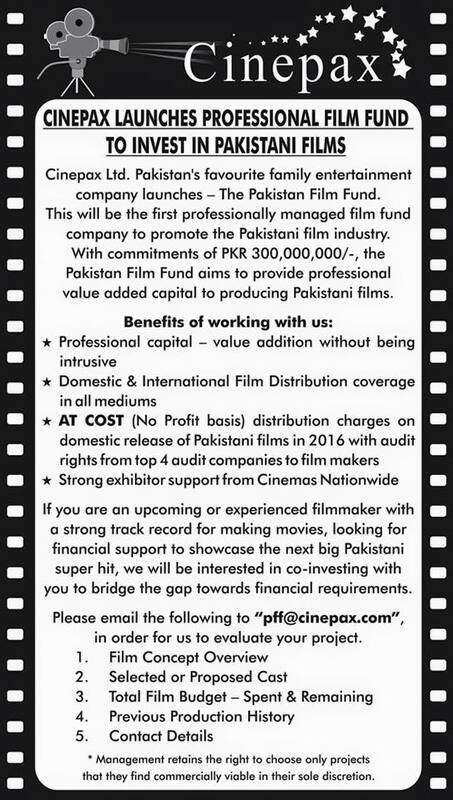 Cinepax proudly presents its new venture:... Pakistan Film Fund. With a commitment of PKR 300,000,000, it will be Pakistan’s first professionally managed fund to offer value and capital to Pakistani Films. An excellent opportunity for those who are looking for a financial support to showcase their film talent. So hurry up Film makers!! 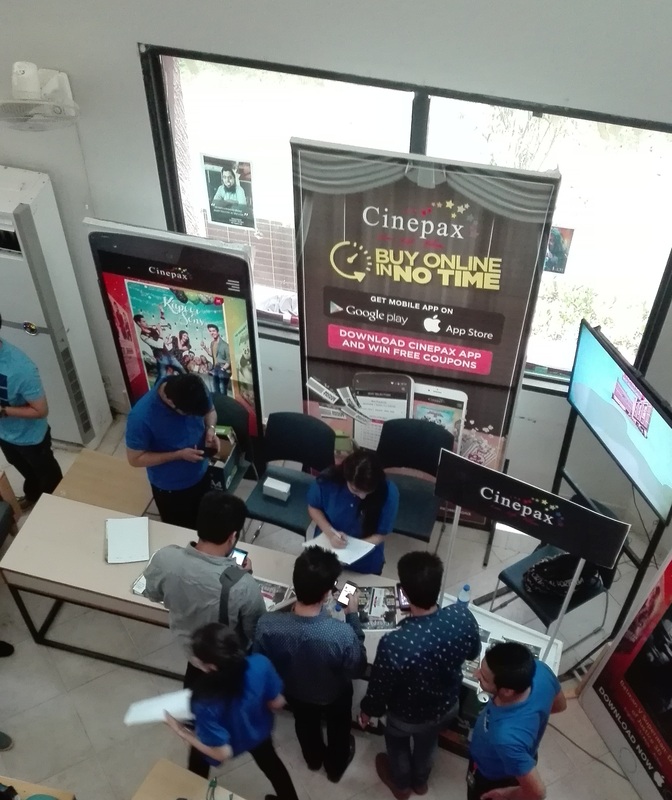 Cinepax conducted a 3-day activation campaign at SZABIST (16th, 17th and 19th March’16) and IOBM... (12th, 13th and 14th April’16) to promote Cinepax Mobile Application (Compatible with iOs/Android). Ticket discount vouchers were given to students on the successful download of our mobile application. Overall, Cinepax received a heartwarming response from the students. 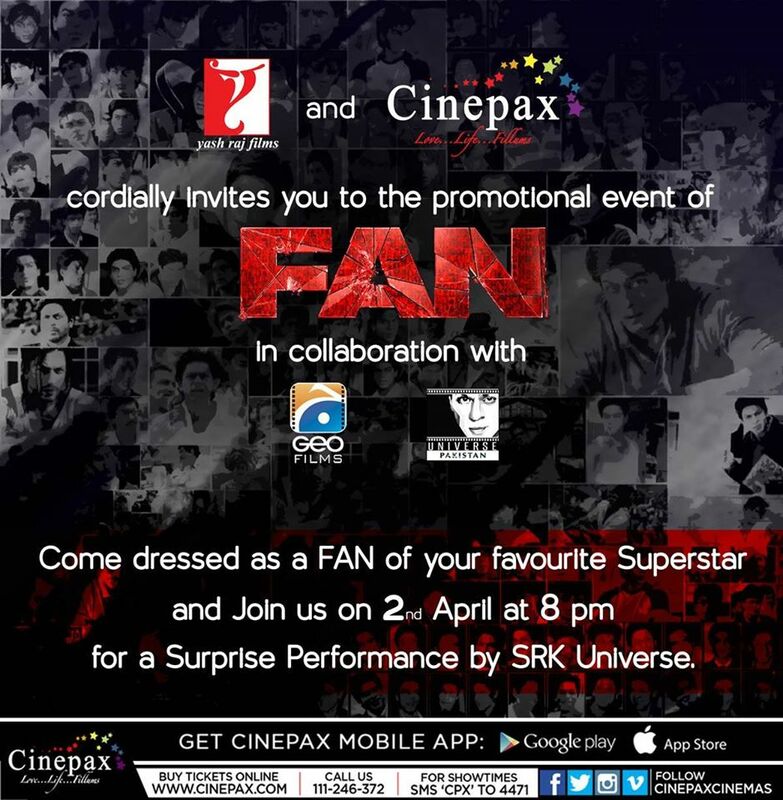 SRK Universe visit Cinepax cinemas? Cinepax - Pakistan’s favorite Cinema chain hosted a love performance show..., where the fans of Shahrukh Khan gathered to show their support for King Khan’s upcoming movie: FAN. SRK Universe which is the largest fan club of SRK over the web was the limelight of the event. The group performed on various beats of King Khan’s famous dance number and had an amazing time. Along with the media, the whole cast and crew visited Cinepax – Ocean Mall Karachi... at the trailer launch of Pakistan’s action-thriller movie: Maalik, written, directed and produced by Ashir Azeem. 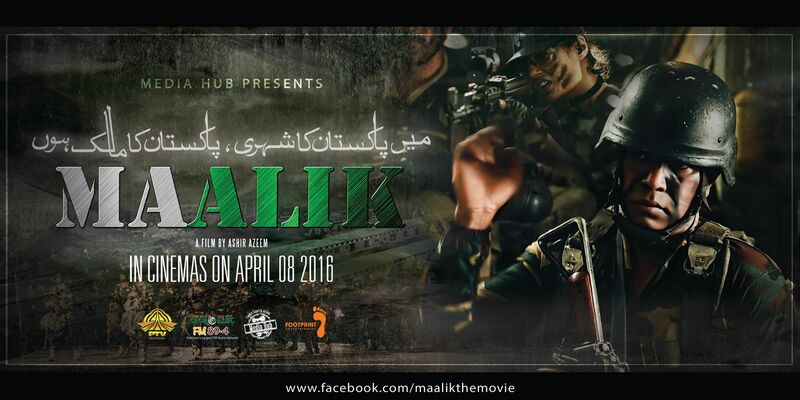 Story of Pakistan’s elite Special Forces, Maalik is a combination of loyalty, dignity, idealism, and courage against all the odds of society. iOS & Android App Launch? Now you can buy tickets in no time with our very own Cinepax Mobile Application... , compatible with Android/iOS phones. With a friendly interface, quicker transactions, the blockbuster app allows our tech-savvy users to view showtimes, ticket prices, movie information, and purchase tickets on-the-go in just one click. Time to spread some filmy love. Watch your favorite movie at Cinepax... , post a picture of your movie ticket, tag your loved one, and get a chance to win exciting prizes including air tickets, diamond ring, smart phones, and much more. Big shout-out to our proud partners: Shaheen Airlines, Yamaha, Microsoft Lumia, Almas Jewelers, Color Studio Pro, Domino’s Pizza, Dunkin Donuts, TGIF, HOBO by Hub, and others. Journey of a bubbly Indian Girl, who undergoes a series... of unfortunate events and is forced to place her faith in a stranger. Bachaana is a superb combination of action, romance, and a strong story line. The gorgeous Sanam Saeed and striking Mohib Mirza visited Cinepax Fortress Mall, Ocean Mall, City Auditorium and Jinnah Park to promote their movie released on 26th of February 2016. Fun, Laughs and Unlimited amount of Selfies were the highlight of the events. Bringing back cricket to the Pakistani ... audience. Cinepax proudly join hands with Islamabad United as their official Fan-Park. All the matches will be shown at Cinepax cinemas; Show your support, come and enjoy the exciting matches of PSL at the BIG screen and get their official merchandise. No more waiting in long-queues. For the first time in Pakistan,... Cinepax launches Ticket Purchase Kiosk (powered by Mastercard). Online Ticket Kiosk is placed at the entrance of Cinepax Cinemas. Purchase your tickets online, and get them print at the entrance without any hassle. New Year, New Resolutions, New Adventures. Your ticket ... to Prague (Czech Republic) is just a movie ticket away. 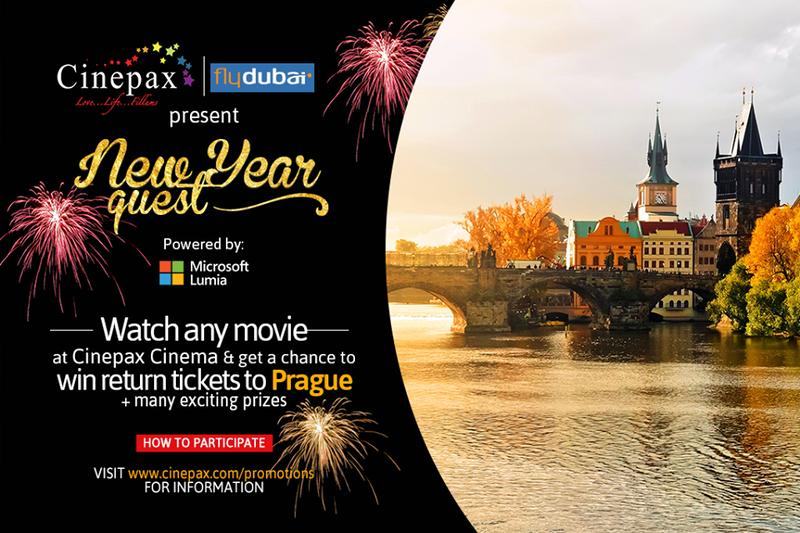 Post your movie ticket on Cinepax Facebook Page and tag your travel buddy to get a chance to win a return ticket to Prague (with Fly Dubai) and other exciting prizes in association with Microsoft Lumia, Dominos & Nandos etc. The super-talented cast of Siachen (play written by the living legend Anwar Maqsood) ... visited Cinepax Cinema - Ocean Mall, watched their favorite movie and had an amazing time.